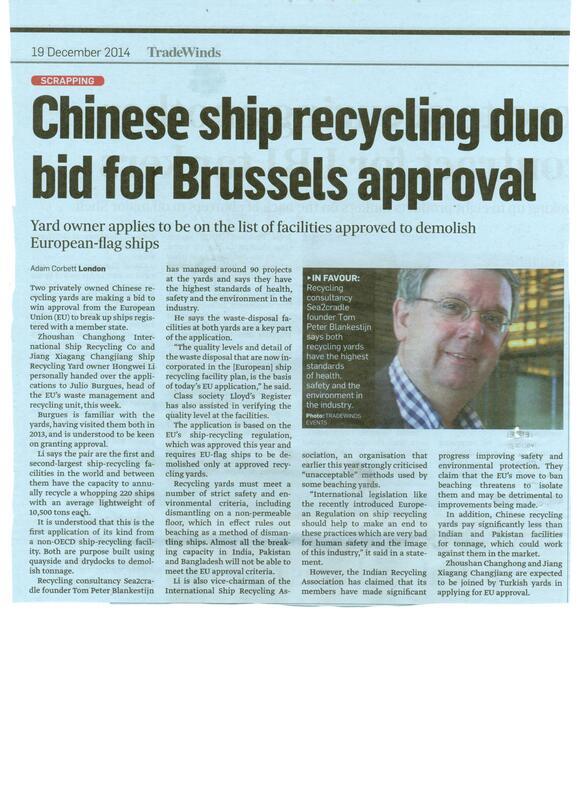 Sea2Cradle is proud to have been involved in the application of two Chinese recycling yards to the European Union (EU) to become an approved facility to demolish ships registered with member states. Sea2Cradle was consulted because of its high Health, Safety and Environment standards as well as its fifteen years of experience in the ship recycling industry. On 16 December 2014, Sea2Cradle met with Hongwei Li, the owner of both yards, and Julio Burgues, head of the EU’s waste management and recycling unit. The ship recycling facility plans were handed over to Burgues. 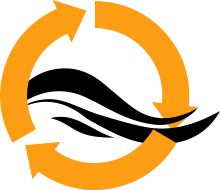 This is the first time a non-OECD ship recycling facility has applied to be on the EU list of approved recycling facilities. Sea2Cradle has successfully completed the recycling of its first oil rig: “Kulluk”. As in all our projects, we first made a detailed Inventory of Hazardous Materials. Based on that, we created a unique ship recycling plan tailored to the specifics of the rig. Due to the size and complexity of this special project, it involved about fifty to sixty workers. The whole process was completed within twenty weeks of the oil rig’s arrival at the ship recycling yard, after which Sea2Cradle and the recycling yard issued certificates of pre-cleaning and demolition. For a small photo impression, see project 84 on the Track Record page.